Slalom and Wind Foil competitors were on standby throughout the day, the sun was out and a little breeze came but unfortunately it was an unsteady shifting wind with a few gusts. 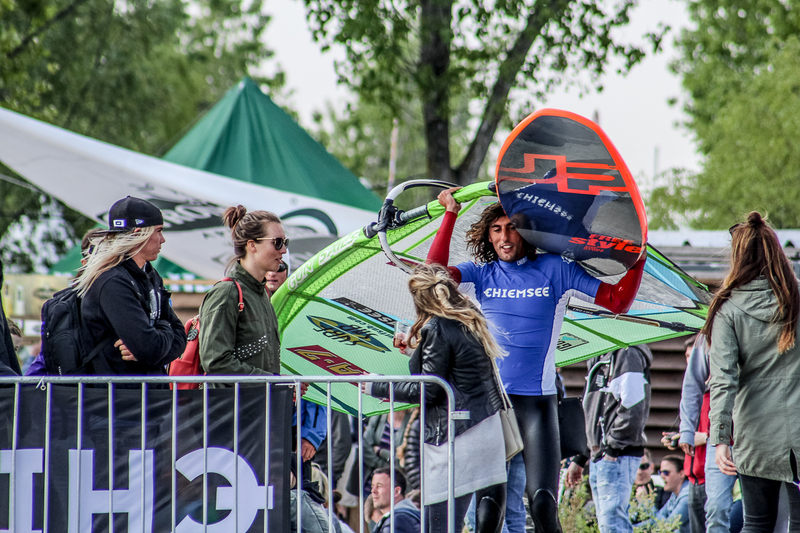 A Tow-in Freestyle show was on schedule for the sunny afternoon for the mass spectators who filled up the shores of Lake Neusiedl at the event side -packed with food, fashion and sports stands-, to get closer to the action from another mix of Top Freestyle Athletes. 17:56 - Tow in show is finished, wind slowly starts filling in. 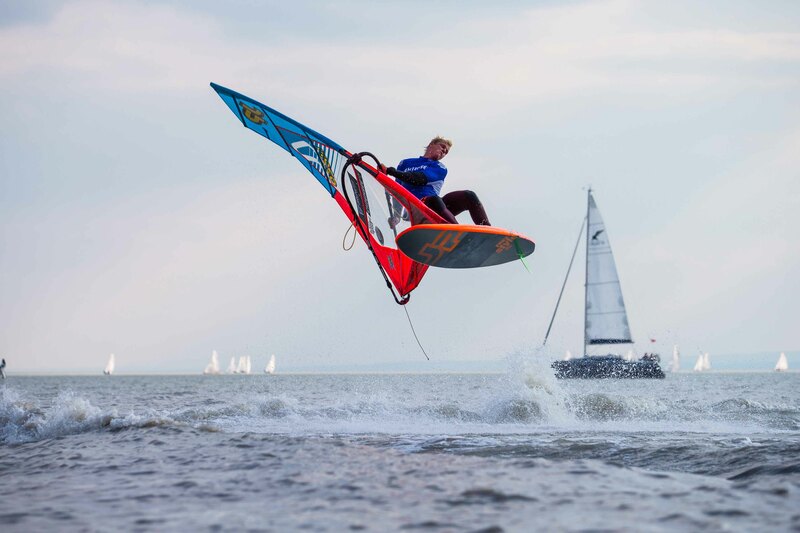 Some cool moves were performed, including a Double Air Culo From Amado Vrieswijk, Sky high Burner from Max Matissek, Stylish Funnels from Julien Mas and among the big crash from Tonky Frans, but he mad a come back with a powerful rotated Kono. Steven van Broeckhoven also was part of the gang and showed impressive style. Tomorrows skippers meeting is scheduled for 9am with one of the best forecast predicted. The entire Race committee is looking forward to finally start with some Slalom Racing. Competitors are excited and took great advantage of today's weather to final tune, relax and to set focus on the scheduled competition.